It sounds like a movie plot – men with dubious intentions, a trove of secret documents, and a red herring to distract people from the truth. But unlike cinema, this story is 100% real-like the dangers of sugar that industry execs tried to hide. Researchers at the University of California San Francisco (UCSF) have uncovered long-hidden truths that manufacturers of sugary foodstuffs would prefer us to ignore. An analysis of internal sugar industry documents has exposed what executives really knew about the health hazards of sugar and their unscrupulous plans to get it down our throats at any cost. In an article titled “Sugar Industry and Coronary Heart Disease Research: A Historical Analysis of Internal Industry Documents,” authors Stanton Glantz, Laura Schmidt, and Cristin Kearns expose how sugar industry execs buried the truth about the risks of sugar consumption in an effort to push their product on an unsuspecting public. Authors of the analysis, published in September 2016’s JAMA Internal Medicine, combed public archives to uncover the trove of nearly 1,600 pages of internal sugar industry communications referred to as the “sugar papers.” The documents expose a sinister scheme to boost sales of sugar during a time in our collective history when public health was facing unprecedented risks – risks that spotlighted an increasingly unhealthy American diet. In the mid-1950s, the medical research community began to link sugar consumption with high blood cholesterol and triglyceride levels – two of the primary risk factors for coronary heart disease (CHD). The sugar papers reveal that executives at Sugar Research Foundation (SRF), an international sugar industry trade organization, were aware of the link between sugar and CHD. Heart disease was the leading cause of death in the United States, a distinction it still holds today, and public concern about preventing CHD was growing. This dangerous association did not deter SRFs plans to grow nationwide sugar consumption, a harmful mandate that we know in retrospect was staggeringly successful. 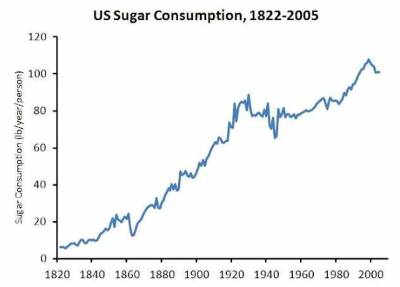 Since the 1950s, Americans’ sugar intake has increased three-fold. It is estimated that an average American now consumes between 120-170 pounds of sugar each year. Rewind to the mid-1960s: executives at SRF realized that a strategic PR campaign could give their product the illusion of safety while also boosting sales. They brainstormed a plan to deflect the harms of sugar by shifting blame for increasing rates of cardiovascular disease to saturated fat. In so doing, they effectively turned saturated fat into our nations #1 dietary scapegoat for elevated blood cholesterol and triglycerides. To accomplish their ends, SRF commissioned a bogus research project from Harvard University School of Public Health Nutrition called Project 226. Published in the esteemed New England Journal of Medicine in 1967, Project 226 was designed to shape not only public opinion regarding the cause of heart disease, but also the dietary recommendations that would be made by the medical science community. By convincing everyone that a low-fat diet was the way to stave-off heart disease, SRF knew that individuals would fill the dietary gap with more sugar. The source of funding and blatant conflict of interest was not disclosed. Thanks in large part to the success of SRF’s saturated fat campaign, sugar has continued its ascent into dietary dominance. It is one addiction that is literally killing us sweetly. Collectively, Americans eat more sugar than any other nation, consuming in excess of 11 million metric tons of the powdery poison in 2017. Cardiovascular disease is not the only negative health outcome to stem from a high-sugar, low-fat diet. Dr. Robert Lustig, an endocrinologist from California who gained national attention after his lecture, “Sugar: The Bitter Truth” went viral in 2009, has shown how excessive sugar consumption plays a key role in the development of obesity, type II diabetes, hypertension, and many types of cancer. His research has led him to conclude that 75% of all diseases in America are caused by lifestyle choices and are, in fact, entirely preventable. Perhaps the most shocking truth that the sugar papers reveal is the ease with which medical research standards can be violated and the public trust betrayed. The authors of this analysis stated when speaking about their research, that it demonstrates the need for a more transparent scientific process. The authors emphasize the importance of ensuring that scientific reviews remain free from conflicts of interest, and that financial disclosure be mandated in nutrition science. Co-author Laura Schmidt, PhD, comments to the fact that nutrition science was set-back by the ruse of saturated fat, and health policy must now play catch-up to reflect the dangers of sugar consumption. The researchers were inspired to continue pursuing the truth behind the sugar industry’s influence on the scientific agenda thanks to the results of a previous analysis. Published in the March 2015 journal, PLOS Medicine, Kearns, Glantz, and Schmidt called-out Big Sugar’s interference with the 1971 National Caries Program (NCP), designed to eradicate the growing problem of tooth decay in the nation. In the early 1970s, it was becoming clear to medical science that sugar consumption was a direct contributor to the development of tooth decay, or dental caries. The NCP, sponsored by the National Institute of Dental Research (NIDR), started out as a scientific initiative to prevent tooth decay, but sugar industry influence altered the program’s priorities. The UCSF analysis of industry documents between beet and cane sugar executives and NIDR officials reveals that dental health policy in the 1970s was effectively altered by the undue influence of the sugar industry. Rather than emphasizing prevention through adoption of a low-sugar diet, research was pointed towards identifying interventions to be applied instead. Don’t prevent tooth decay; treat it with a vaccine – one of several dead-end applications that were tested and abandoned. To learn more about the dangers of a high-sugar diet, consult the scientific abstracts on GreenMedInfo.com. © March 12, 2019 GreenMedInfo LLC. This work is reproduced and distributed with the permission of GreenMedInfo LLC. Want to learn more from GreenMedInfo? Sign up for the newsletter here http://www.greenmedinfo.com/greenmed/newsletter.